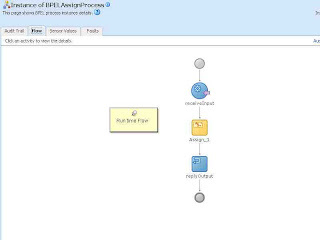 Applications and Integration Blog: How to design BPEL Process for a Simple Assign Activity. 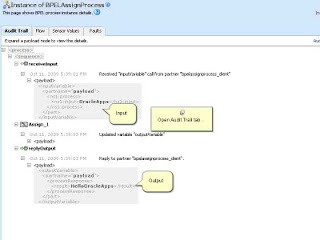 How to design BPEL Process for a Simple Assign Activity. 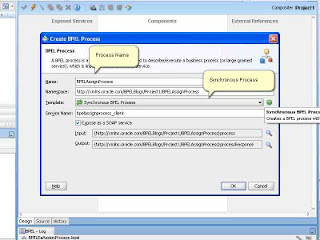 Name BPEL Process and Select the Template as “Synchronous BPEL Process”. 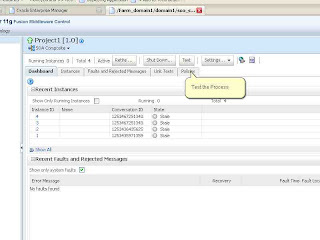 Jdev will create Default Process with ReceiveInput and one ReplyOutput activities. 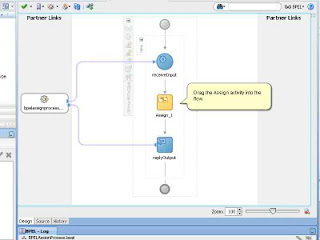 Drag Assign activity in flow , as shown below .Assign activity used to Assign the value between variables. 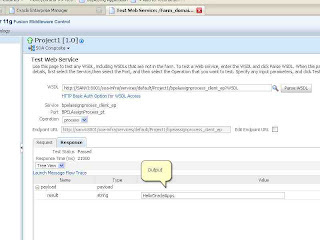 Double click the Assign Activities to open the property of the assign activity. Select the Copy Operations tab. 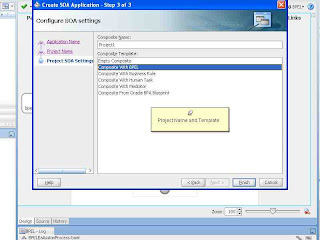 Select the Copy Operations.In Copy Operations we can Copy value from Source to Destination. In my example we use “Expression” in from activity. In Expression, we concat the “Hello” string with the Input Variable. 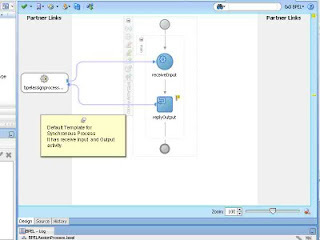 with the input value and then assign to output variable. 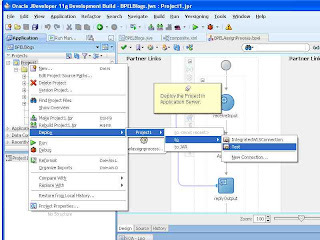 Assign the Input to Output variable. 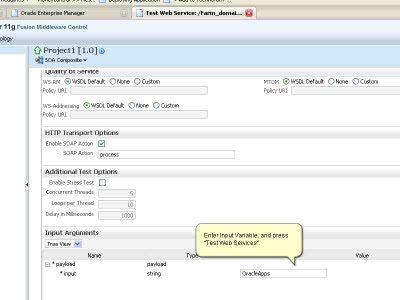 compile & Deploy in Weblogic. 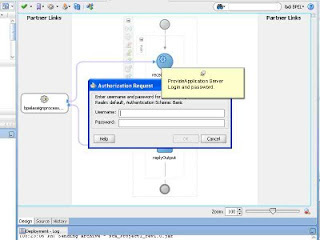 Enter the login/password for Application server. 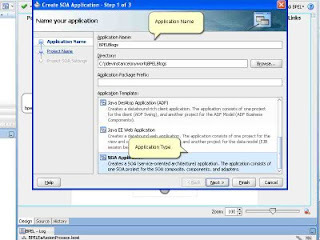 In my example , I enter input as “eoracleapps” , and my BPEL process will concat “Hello” with it , as shown below. Wow..that was good start up guide. I read most of your post..but just little lazy to post comment on all. your comments matter a lot :).